“Sweet Cherry” Ruby Zoisite, what is this? 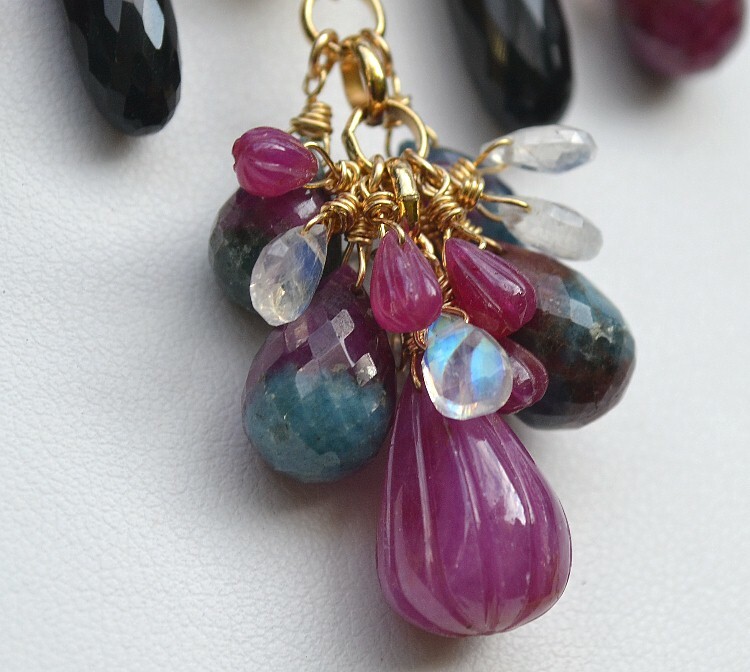 Ruby Zoisite is a combination of ruby crystals and zoisite crystals. These beads are more blue/green with red and it is a natural stone. 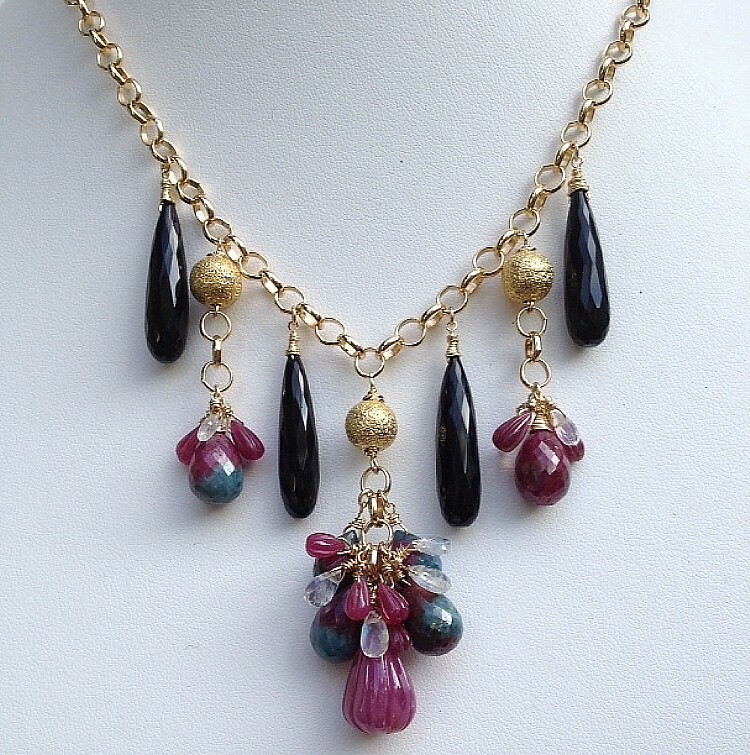 This is it: Carved natural Rubies, Moonstone, Black Onyx and Ruby Zoisite on gold filled chain. Accented with sand blasted vermeil balls.